Imagine you’re a mascara on Benefit’s production line. You wouldn’t want to be the one that follows They’reReal, AKA the UK’s no1 best selling mascara, would you? But then you're a Benefit mascara and they’ve been working on you for four years and it turns out, you’re pretty damn good yourself. Benefit 'Roller Lash' Mascara is all about the curve – and we’re talking serious, close-your-eyes-and-the-curve-is-still-there, curve! Bin the eyelash curlers because this one does it all. It curls, it lifts, it lengthens and it boosts. 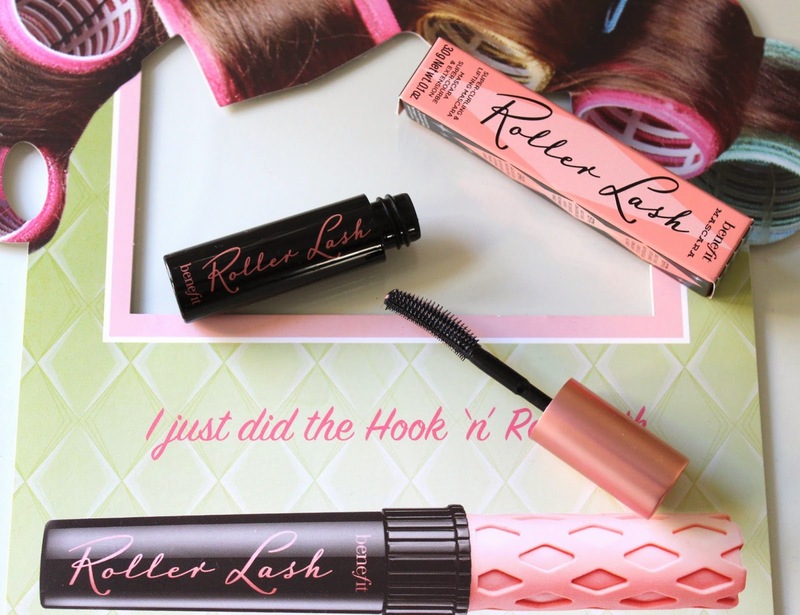 The skinny, curved “Hook’n’Roll” brush gets right down into the root of the lashes. Laced with mini lash catches, it scoops the lashes and drags them to new heights, fanning, separating and lengthening as it goes. With minimal effort it makes my lashes look inconceivably long and adds some major curl action. And unlike other curve/lengthening mascaras, it doesn’t neglect the volume. It plumps the lashes with jet black, glossy formula and fans them perfectly for a more wide open look. Absolutely no clumping, no smudging. 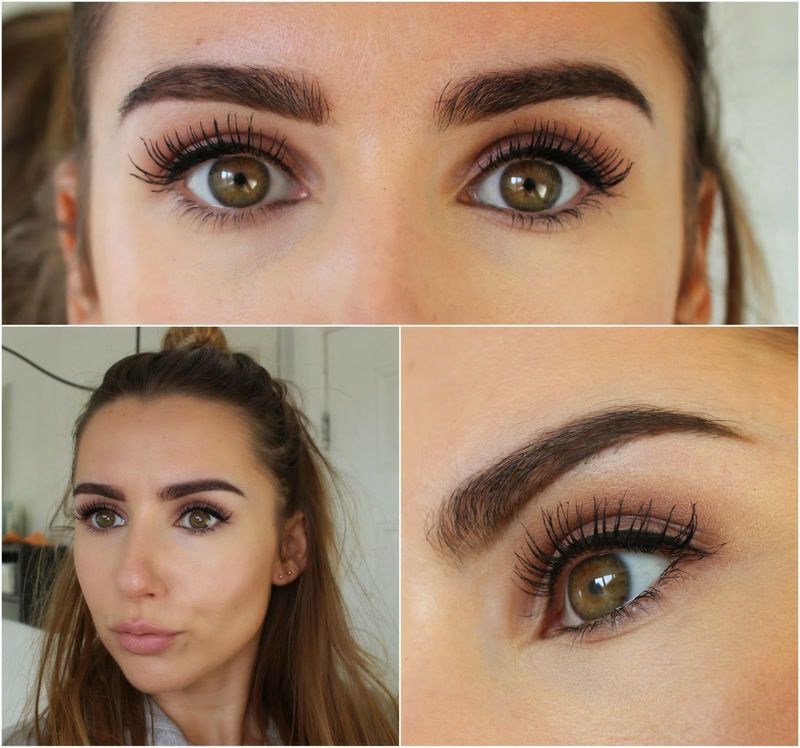 I wasn’t expecting to be wowed by this mascara, but I am! 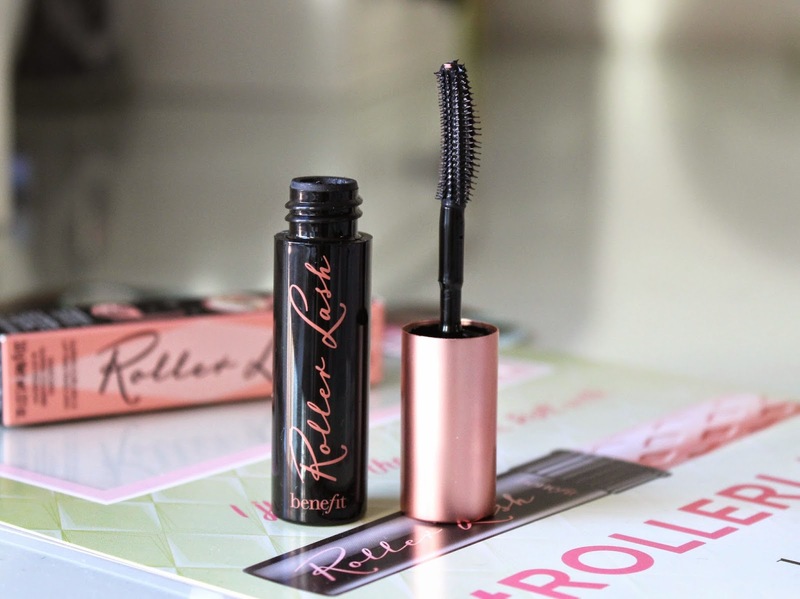 Benefit 'Roller Lash' Mascara goes on sale at the end of February. Thanks to Elle Magazine you can bag a sample (or two) this month and if you’re impressed, you can pre-order at QVC advanced order £15.82 RRP £19.50. p.s please don’t judge the brows in these pictures. They’re going through a major grow back mission and have NOT seen a tweezer this year! Wow! This looks great! Very pretty! I wasn't sure about this mascara because sometimes Benefit's products are overly hyped. But after reading your review I am definitely checking this out because it looks so good! The Eyeshadow Palette Dreams Are Made Of! 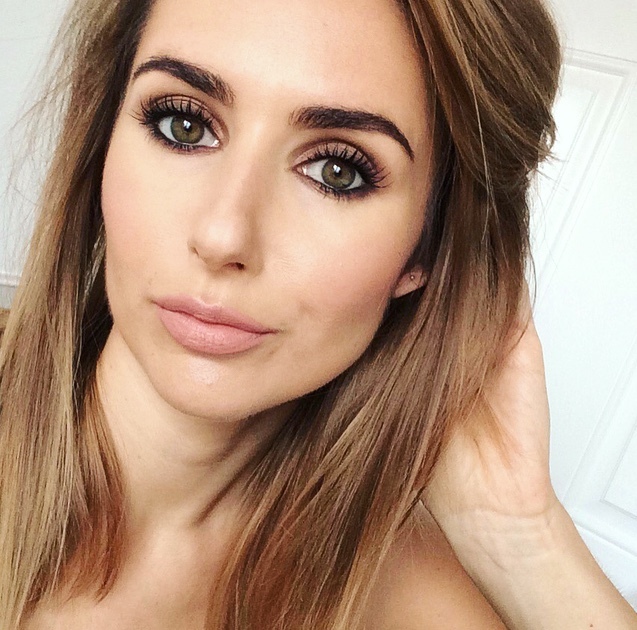 Laura Mercier Secret Camouflage, Worth The Hype?